Digital presentation of a genuine Canon EOS Rebel T6 EOS 1300D parts list and exploded views. 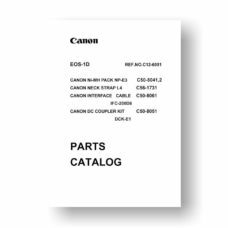 USCamera has Canon downloads, parts and service guides. We have thousands of parts available for digital and film cameras, lenses, shoe mount flash and more. Currently making film camera light seal kits for many popular makes and models. Please contact us with any questions or requests.